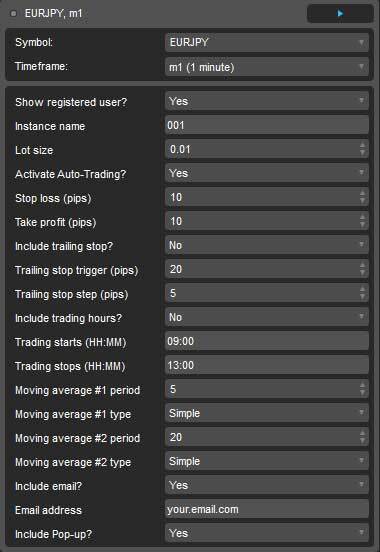 With this robot, you can now automatically enter and exit trades based on two moving averages crossing above or below each other, you have 7 different types of moving average to choose from together with adjustable parameters to customise this robot for any symbol. You can also turn auto-trading off and use it just as a signal provider. 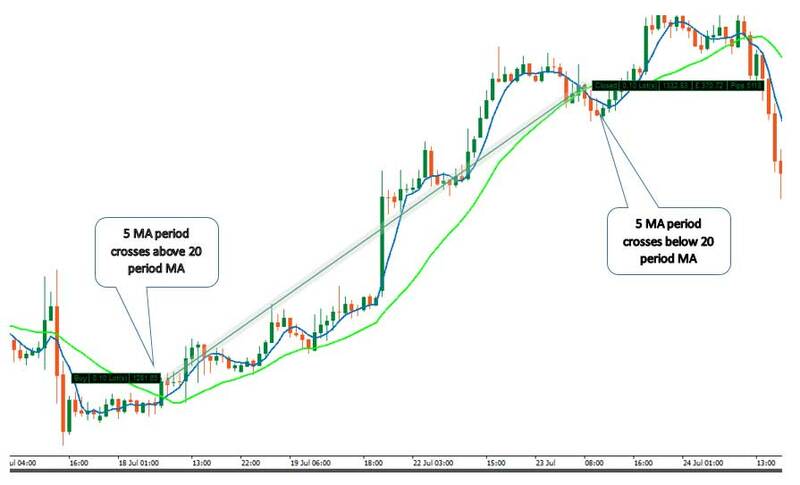 The Moving Average Crossover Strategy is a very commonly used system to help traders find the middle of a trend. A trend defines price action in which prices move in a specific direction over a period of time. You have 7 different types of moving average to choose. Generally, trends are either upward or downward, as sideways movements are considered consolidation and not trends. How Do We Capture a Trend? Short-term trends can be captured using short-term moving averages. Long-term trends can be captured using long-term moving averages. An example is a 5-day moving average of the EURUSD crosses above the 20-day moving average of the same symbol. What Is a Fast and Slow Moving Average? The faster moving average is a short-term moving average. ... A moving average, as a line by itself, is often overlaid in price charts to indicate price trends. A crossover occurs when a faster-moving average (a shorter period moving average) crosses a slower moving average (a longer period moving average). You can also show a pop-up window and have an email sent to you when the two moving averages cross. What Moving Averages Can You Choose? 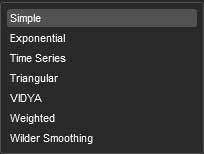 You can choose 7 different types of moving average for each indicator, so you can mix a simple MA with an exponential MA. 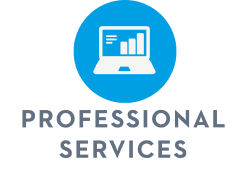 How Can You Use This Automated Trading System? The chart below shows a position that was closed with profit using this trading robot, it shows a faster-moving average (blue line) with a period of 5 crossing above the slower moving average (green line) period 20, at this point a buy position open and closed when the fast MA crossed below the slow MA. With Auto-Trading turned off you can use this system as a signal generator to receive an email or a pop-up window. If you set your stop loss and take profit values to zero then the robot will close only when the two MA's cross, but there is a little bit more to it then that, it has some extra logic for a better performance show below. Please note that a single position will only ever be open at any time. 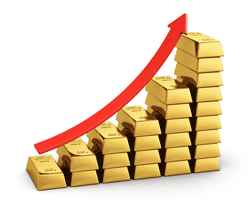 We ran a back-test on Gold XAUUSD and without any optimization, we got the following results. We have made sure that you are not just buying strategy that just opens and closes positions when the two MA's cross each other, we have included the most useful risk management and alert features that you will need to get the most out of this robot. If you turn on either the email or the popup alert then when a signal occurs and a position opens you will be informed that this event has occurred, you also have the option to turn off auto-trading and use this just as a signal system. Not Using the cTrader Trading Platform? If you are not using the cTrader platform, you can find out more about it by clicking on the link below. Do You Want To Add Additional Features? Do you Want The Source Code? The robot is delivered to you without source code for the price stated above, but if you wish to own and have the full source code so you can modify the robot yourself than we can sell you this robot for £99.99, if you have already purchased the robot then we will deduct the price you paid from the total price. GOOD PRODUCT FOR KNOWING THE TREND. i purchased CTRADER MOVING AVERAGE CROSSOVER STRATEGY from click algo.it is the combination of sma,ema,smma,time ma,weighted ma,vidya. i found the good parameters for dax in 15 min time frame vidya 30 and time ma 193.it gives 50 pips surely.out of 10 trades 7 success trade and net profit 370 euro in a month.low risk and you will know the correct trend.it takes few trades in a month.